It's barely August but already retail stores are discounting their Summer merchandise and slowly integrating Autumn products, apparel and colors. I'm still enjoying this month and not doing anything to prepare for the inevitable change in seasons coming up however I've always been so fond of Fall and can't help peeking at the new things. 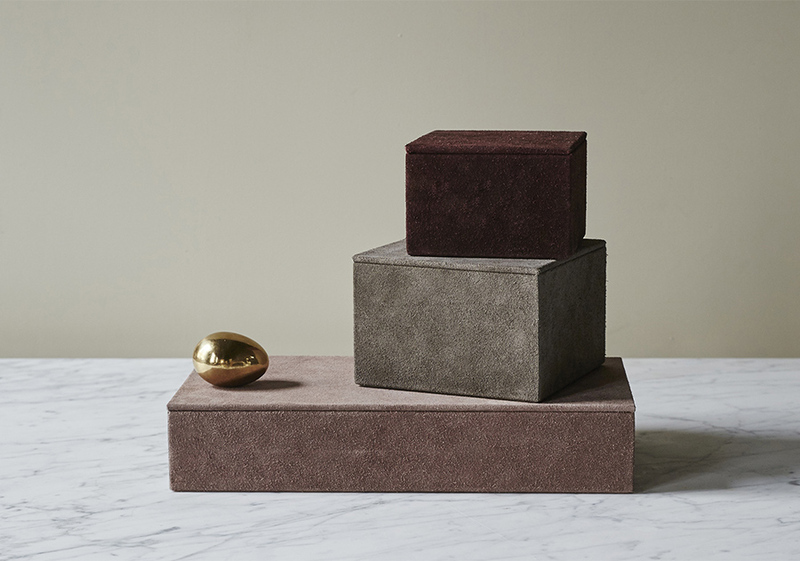 These suede boxes from Artilleriet come in a color palette that I think encompasses the colors of Fall and colors we will probably be seeing more of in the coming months, particularly this aubergine hue. It looks a bit brown too but let's pretend it shows a true eggplant color or even a red wine.